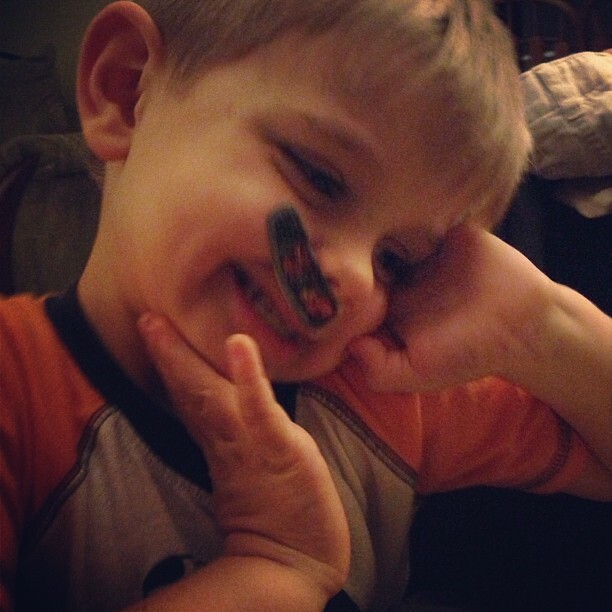 Max got the inspiration for this stunt from Brogan – my child who has been known to wake up in the middle of the night and adorn himself with bandaids (and gloves too). So imagine Brogan’s excitement when our elf was up to his own tricks! 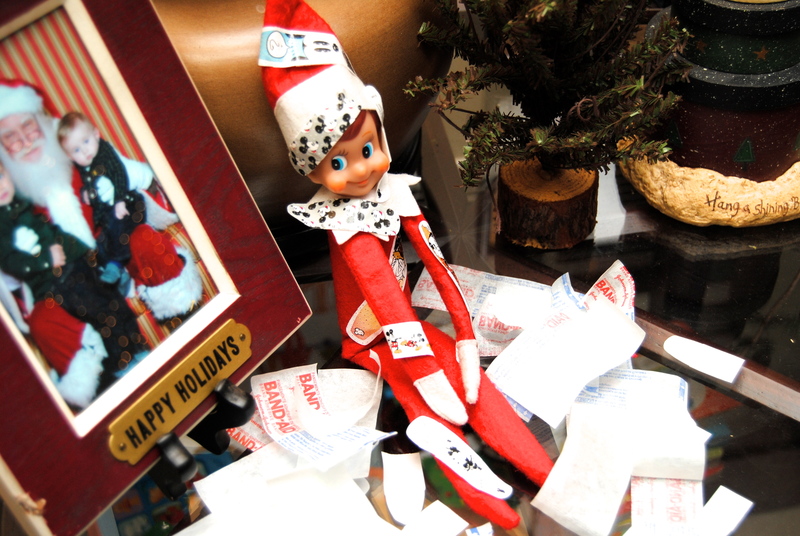 This entry was posted in Holidays and tagged Band-Aid, Christmas, Elf, Elf on the Shelf, Holidays, Max by biscuitsncrazy. Bookmark the permalink.